Say HELLO to a New Year! It's not only the start of an exciting new month, but also to an exciting NEW YEAR! We trust you made the most of 2015 - how's your head? Well, 2016 is going to be even more fabulous! We've curated a classic Hot List for you; bringing together places, events, blogs and other bits and bobs for your monthly inspiration. The Nudge is an online insiders’ guide to London, with highly-curated recommendations designed to help you uncover only the best of what’s on. 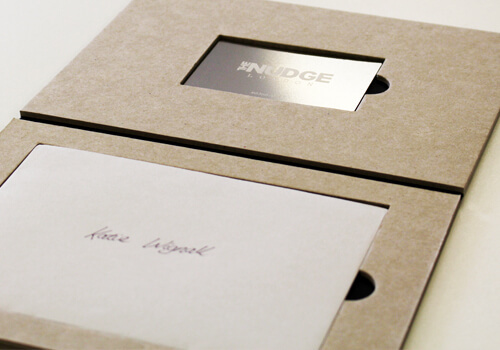 Members of The Nudge gain access to The Nudge's Insiders’ Email List for exclusive updates on bars, restaurants and events, as well as invitations to private chef's tables, preview dinners at new restaurants, secret happy hours, VIP tickets, member parties, off-menu feasts and insider perks at London’s best restaurants and bars — from Nudge-exclusive welcome cocktails at The Dairy and post-dinner nightcaps at Lyle’s, to shots of homemade limoncello at Pizza Pilgrims and cocktails served up from Blacklock’s secret cocktail trolley. Enter for a years membership and exclusive deals! 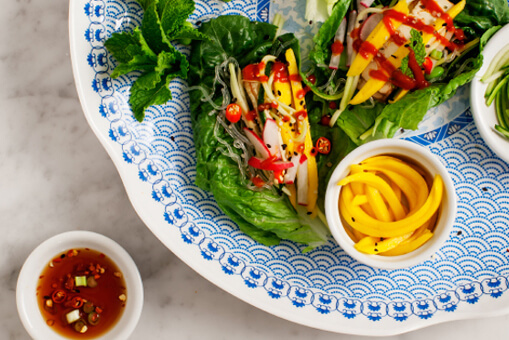 It's the start of a new chapter for us all, and all of us could do with a little health kick post-Christmas. We've shared a recipe from food blog Love and Lemons before, and have returned for more deliciousness... Their recipes are clean, simple veggie-based meals and look super fresh! We feel healthy just looking at the photos of their raw recipes. You've probably heard of him. If you haven't, now you know. Russ travels the globe taking awe-inspiring images with his iPhone, meeting a stunning assembly of landscapes, wildlife and people as he goes. 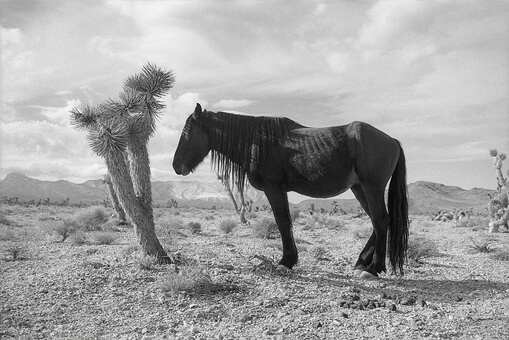 Prepare to be impressed and equally envious of the nomadic lifestyle of this talented photographer. His book, The Western States, is available here. Follow him on Instagram for regular updates on his travels - we wish we could go with him! Fanatic about Craft Beers? 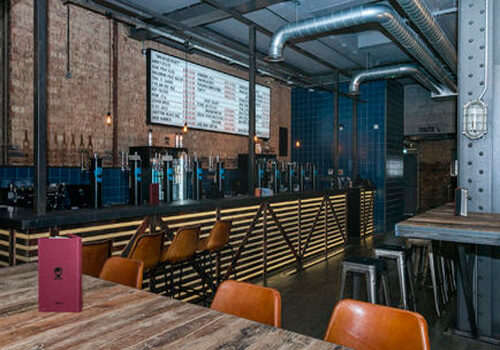 You will be after visiting BrewDog Brighton. Laid back and eclectic inside, they offers 30 taps of the best craft beer around. 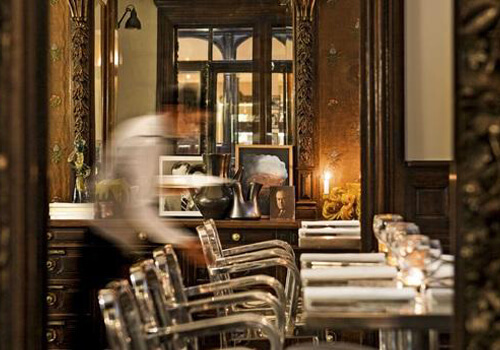 Enjoy their unique décor (recognise those bar stools? ), central location and fantastic food. We’re always excited to support local talents, but fortunately for everyone else the BrewDog empire now spreads far and wide – even stretching to Brazil, Stockholm and Japan. The BrewDog boys have a lot to offer! Hailed as the “best Short Film Festival in the World” by the Guardian Guide, this is one to catch! 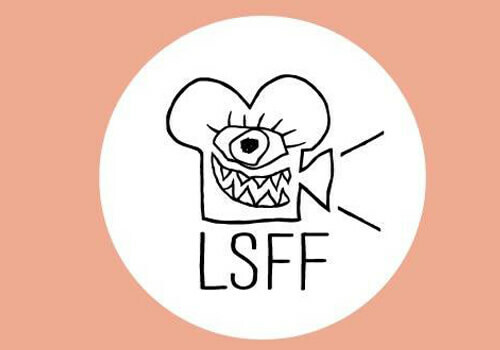 Now in its 13th year, the London Short Film Festival is at the helm of cutting edge independent short film. Held at the Institute of Contemporary Arts over the 8th – 17th January, the Festival will show documentaries, experimental film, animation and Q&As from creative film makers. Feed your mind and get inspired for the year to come! The celebrated London Art Fair dedicated to Modern British and contemporary art returns to the Business Design Centre for its 28th edition from the 20th- 24th January. Art is an essential for personalising your home, and we are always keen to seek out more. 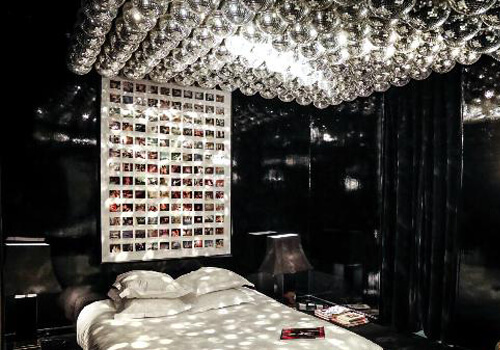 A great print, painting or photo can make a huge impact in your room and need not cost the earth... 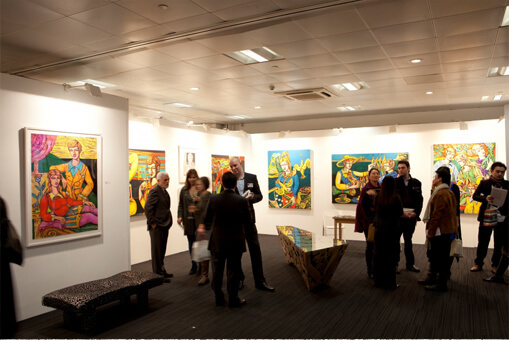 The Fair will feature 100 galleries of exceptional artwork and should not be missed! For food we're bee-lining to Philippe Starck's Caffè Stern. Diamond-dripping taxidermy, elaborate wooden frames, boutique-style arrangement of display items and deluxe low lighting equates to an RSG dream! 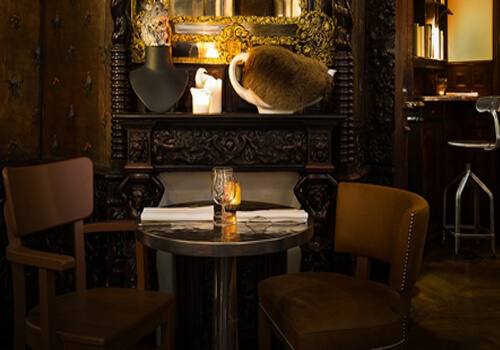 Set in a former engravers’ shop in the covered Passage des Panoramas near Grands Boulevards, the Caffè Stern is luxurious and refined - we can't wait. 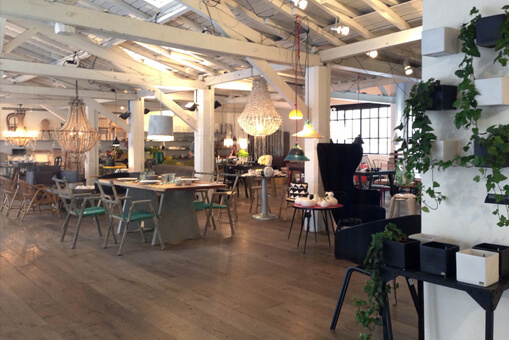 We will always recommend concept store Merci, and no doubt we'll stop by to find bits and pieces - we love that their proceeds go to charity. Interiors journalist and stylist Ellie Tennant speaks to the creative forces behind global online shops, bringing together beautiful words and pictures that explore their lifestyles and homes. 'Chic' can be anything from a refined skill, an original design or a re-crafted item, and this book truly reflects these ideals with its tip and tricks. 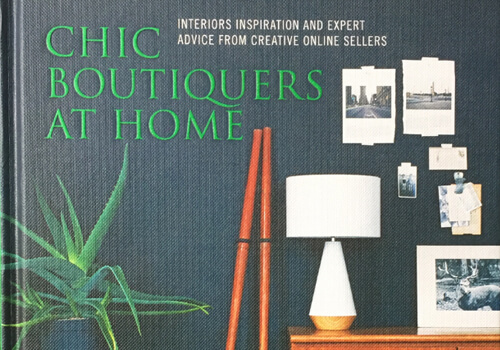 A treat for the eyes and the mind, 'Chic Boutiquers At Home' is gorgeous, and every interior design lover should own it! 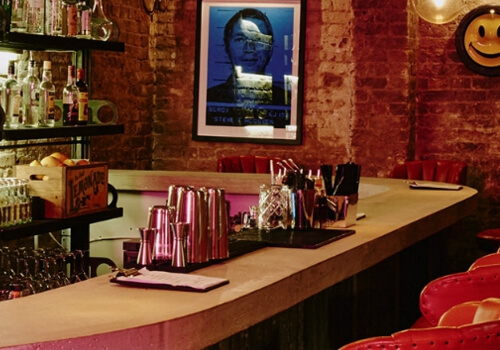 We're collaborating with Ellie at the The Hoxton at the end of the month, so keep an eye out for more news! HELLO 2016! 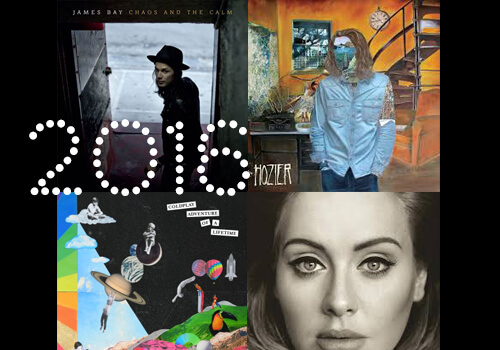 We want you to enter the New Year with a bang, and this playlist is sure to get you excited for things to come. Party time!